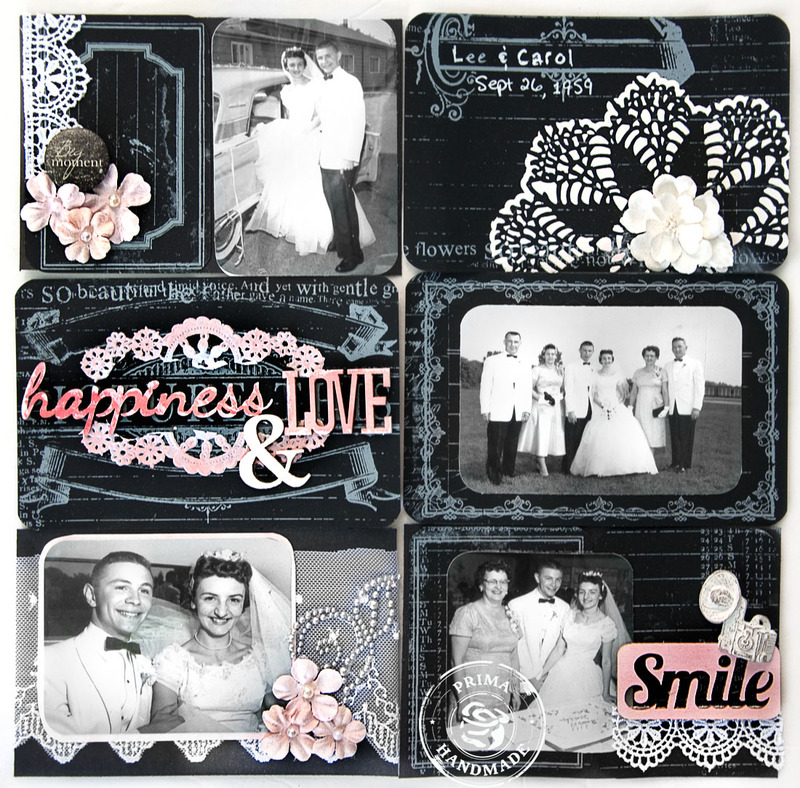 This was created using Prima's new Everyday Vintage Chalkboard Cards. They were created for pocket pages - Project Life Style creations, however you can do so much more with them if you want. The Everyday Vintage Chalkboard Cards inspired me to take out some photos of my parents wedding day and play with some black and white images in preparation for their upcoming anniversary. The Chalkboard cards help capture the elegance of that day. 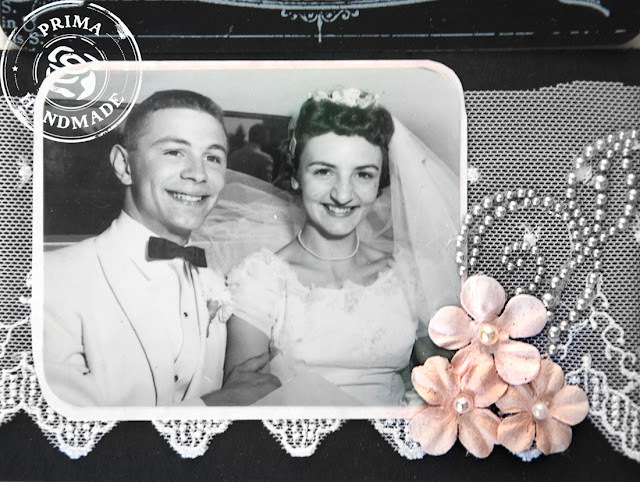 I created a quick pocket page featuring my parents wedding day. The great thing about a pocket page is that you can make them as ornate as you want or just pop them in the pocket and be done. These pages will be passed around the anniversary party with many hands touching them so the plastic pockets are a great way to preserve the photo and the embellishments. ( Also keeps the art safe from people like me who tend to be "spillers and sloppers" at parties. I spill everything - but usually just on myself. hehehe) - best to be safe. 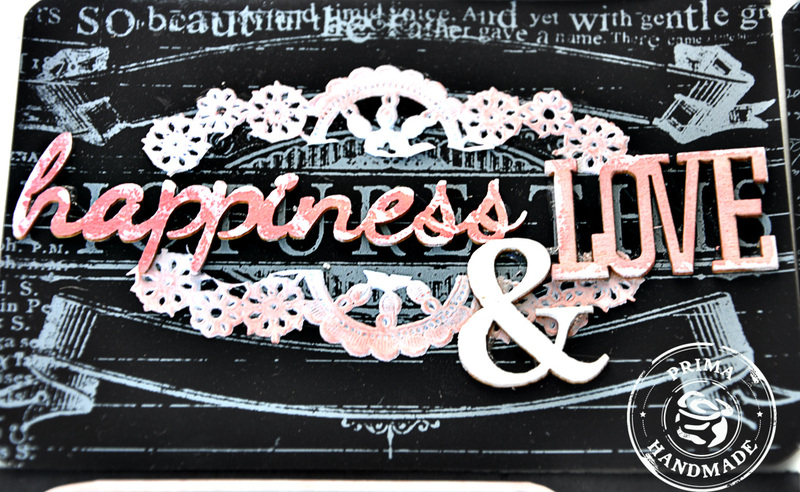 I used some new Prima wood icons above (569907 Wood Icons Embelishments Words) and inked them with a few different chalks from Ingvild Bolme. My choices were to stay soft and delicate using Old Rose and Pastel Pink with the black chalkboard. 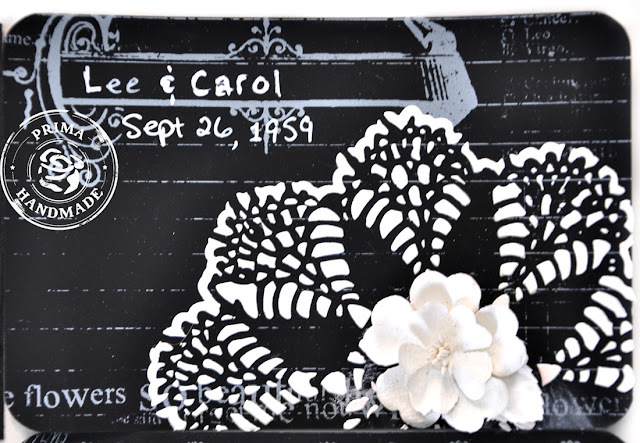 The card below has a new stencil on it from Finnabair's Elementals line -960551 Elementals Stencil. The new stencils from Finnabair are divine. This card used the new Say it in Crystal line (570422 Say It In Crystals) and a few of the tiny delicate flowers from Prima in a light pink. The lace behind the photo brings in the feel of the gown. Thanks for looking and keep your eyes out for the new releases to arrive in your favorite stores. So pretty Jen!! I just love the wedding photos!